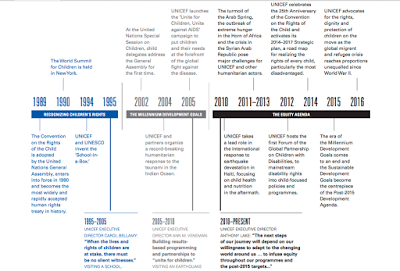 The United Nations Children's Fund (UNICEF) is celebrating its 70 years of presence around the world, this week. 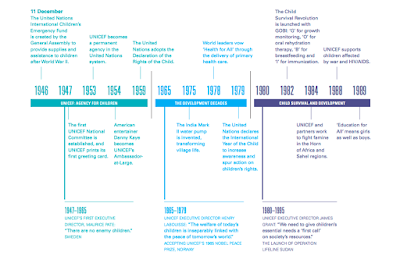 UNICEF was created by the United Nations General Assembly on 11 December 1946, to provide emergency food and healthcare to children in countries that had been devastated by World War II. Since its founding, the organization has been instrumental in improving children’s lives across 190 countries of the world. Living by its motto – “For every child, a fair chance”, UNICEF promotes the rights and well-being of every child, in everything they do. Together with their partners, it operates in 190 countries and territories to translate that commitment into practical action, focusing special effort on reaching the most vulnerable and excluded children, to the benefit of all children, everywhere. In all of its work, taking a life cycle based approach; UNICEF recognizes the importance of early childhood development and adolescence. Its programmes focus on the most underprivileged children, including those living in fragile circumstances, those with disabilities, those who are affected by rapid urbanization and those affected by environmental degradation. 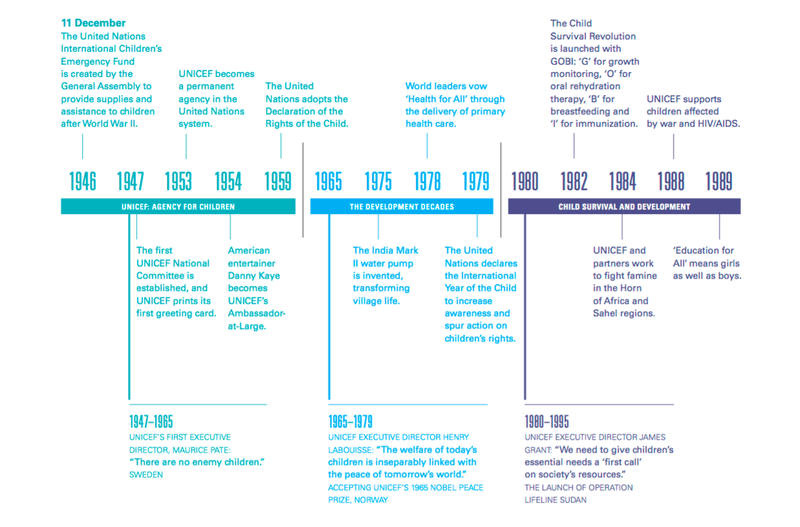 UNICEF was created with a distinct purpose in mind: to work to overcome the obstacles that poverty, violence, disease and discrimination placed in a child’s path. While natural disasters, armed conflict and the silent emergency of famine and disease continue to affect children worldwide – particularly those already burdened by poverty and disadvantage, since its founding, UNICEF has never stopped responding to such crises. By breaking down the barriers between urgent humanitarian action and sustainable development work, UNICEF’s aim is to strengthen systems that provide critical services to children and families before, during and long after the onset of crises. With this support, communities can be better prepared for emergencies and more resilient when disasters strike. 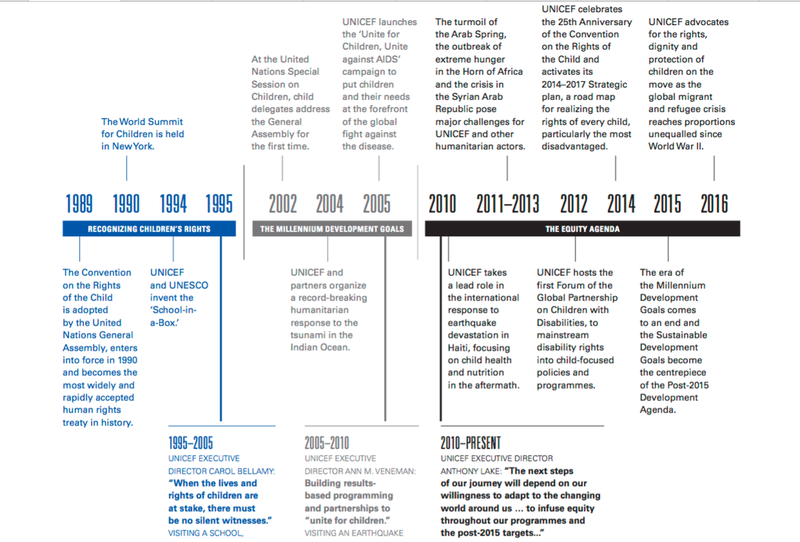 In 2014 alone, UNICEF responded to 300 emergency situations in 98 countries. Among them were three major humanitarian crises in different parts of the world: In Southeast Asia, Typhoon Haiyan put millions of children at risk of waterborne diseases and other threats; in West Africa, the Ebola crisis took a heavy toll and prevented 5 million children from attending school; and in the Syrian Arab Republic, a brutal conflict broke out, forcing families into flight in a harrowing pattern that continues today.